OLYMPICS? JOIN US FOR THE OFFICE OLYMPICS DURING THE OFFICE WEDNESDAYS WITH SCHRUTE-STYLE JERSEY AUCTION. GARY, IN – Would the Gary SouthShore RailCats rather be feared or loved? Easy. They want people to be afraid of how much they love the RailCats. 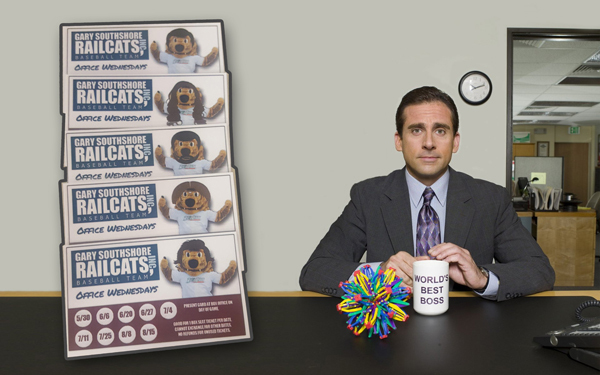 The Gary SouthShore RailCats promise to earn your love this season with 10 “The Office” Wednesday games. 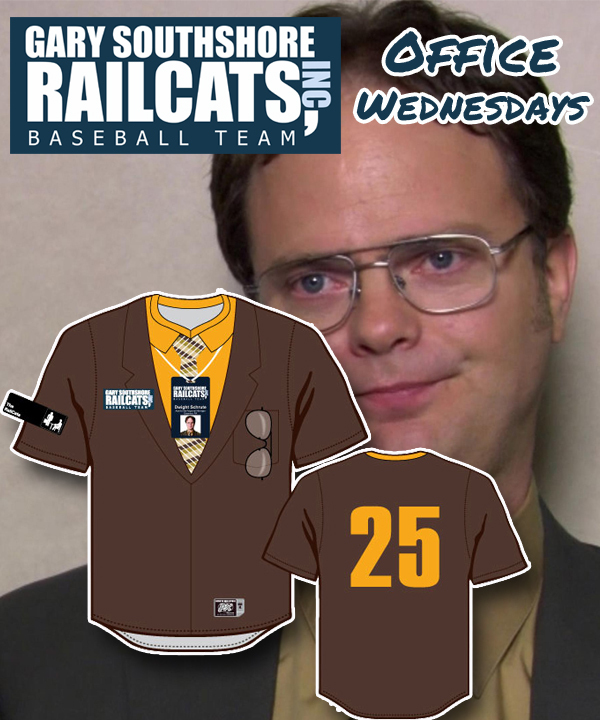 Wednesday may be hump day but at the Steel Yard, they’ll be loaded with tremendous fun and a brand new “Dwight Schrute”-style jersey that the ‘Cats will auction off for a good cause! Win a gold medal (or yogurt lid – no flipping) with Office Olympics games! “Threat Level Midnight” style mystery game to help Michael Scarn catch Goldenface. Beach Games style hot dog eating contest to see who wins the chance to be Regional Manager. Michael Scott might think “Don’t ever, for any reason, do anything for anyone, for any reason, ever, no matter what. No matter where. Or who, or who you are with, or where you are going…or where you’ve been…ever. For any reason, whatsoever,” but the special Dwight-style jersey will be auctioned off during the season with proceeds being donated to charity. Michael Scott recommended donating the proceeds to Comic Relief or to Rabies Awareness, but the RailCats are letting their fans pick which charity to donate to. At a later date, the ‘Cats will release an essay contest where fans can nominate their charity of choice to be the beneficiary of the jersey auction! Every “The Office” Wednesday is sure to be loaded with so much fun that Youtube will want to come tape it. Don’t miss your chance to have fun at the ballpark, relive your favorite moments (even if nostalgia is one of humanity’s greatest weakness – second from the neck) from “The Office,” and watch the ‘Cats play ball. Don’t forget “You miss 100% of the shots you don’t take” – Michael Scott/Wayne Gretzky. Get your ticket package TODAY!